Jessica McClintock fragrance and perfume list. Jessica McClintock fragrances: Jessica McClintock is an American apparel company. 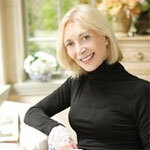 Jessica McClintock is an American fashion designer, who purchased half of the Gunne Sax Clothing Company in 1970 and the remainder in 1972, to create the Jessica McClintock, Inc. apparel company in 1986. Specializing in bridal dresses, prom dresses, and handbags, the fashion line also includes eyewear, lifestyle products and fragrances.